Life can be hard on a farm, especially if the only two full bodies people are yourself and your Ma. Nineteen year old Todd Webster Morgan is acutely aware of this fact as he watches his Ma work from dawn to dusk just trying to make ends meet enough to support the two of them and her crippled younger brother returned from the war. Uncle Ned fought for the losing side and came home with half his leg gone and his personality turned bitter and acrimonious. Todd Webster does what he can but there are no jobs to be found on the far outskirts of Sacramento where they live. Then Uncle Ned mentions the money to be made mining for gold in the Sierra Nevadas and Todd Webster sneaks away in the dead of night determined to make enough money for them all. But if Todd Webster Morgan thought life was tough before, he was unprepared for the realities of mining for gold high in the mountains. Cold, dirty and hungry most of the time with little to show for it, Todd’s claim abuts that of a group of Irish miners with whom he has struck up a friendship with one of them. One had to be wary of others all the time as claim jumpers and thieves were rampant as Todd knew all too well. Then one night, tragedy struck the small encampment. A celestial, as the Chinese are called, has been murdered on the mountain and Todd Webster’s friend accused of the killing. In just one moment, everything goes wrong and soon Todd is running for his life. In the middle of all the confusion, another celestial comes to help Todd when he needs it the most and his name is Lao Jian. The two young men escape and start heading back towards Sacramento, running from anti Chinese sentiment, jumping box cars and escaping from robbers while finding love along the way. 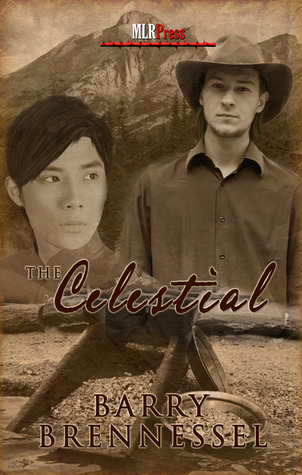 The Celestial is an impressive and remarkable story of a young man finding his way during life in California in the 1870’s. Barry Brennessel skillfully brings to life an explosive period of time in American history through the characters of Todd Webster Morgan, his family, and his lover, Lao Jian. We first meet up with Todd Webster Morgan on the mountain side high in the Sierra Nevadas where he and others are mining for gold and not having very much luck. Brennessel’s vivid descriptions of the setting and the activities on the mountain make us feel the cold and misery of the campsite, the bad food and dirty conditions. Mining for gold was hard, back breaking work. People have rushed out there to try their luck thinking their fortunes are assured only to lose all their money and sometimes their lives in the effort. Claims for the land had to be filed and the paperwork in order as a claim was in danger of being “jumped” and confiscated all the time. Those that didn’t mine, preyed on the miners in a number of ways, looking to take their money. Far the the glamorous rumors of gold floating in the waters, the author paints a gritty portrait of miners barely surviving under close to intolerable conditions. Over and over, throughout the book, Brennessel brings the era to life right before our eyes. From the Chinatowns to the boarding houses Todd Webster rents a room in, we feel as much a part of the times as the characters. The author has clearly done his homework, from the tools to the laws yet n0t once does it come across as a history lesson. Just an outstanding example of historical writing at its best. Barry Brennessel made another wonderful choice when he decided to tell the story from Todd Webster’s POV. At nineteen years of age, Todd is “a man” as he often reminds others. But to the reader his young age is still so readily apparent. Todd misses his mother and uncle, and repeats his mother’s sayings often, especially when Todd Webster is trying to do the right thing by others. Todd can still marvel at new sights before him yet still shoulder the burden of responsibility of someone older due to the times.I loved “seeing” each new town, experiencing it as Todd Webster and Lao Jian live it. Todd Webster (both of his first and middle names are important to him) has been frugal with his funds as he doesn’t spend it on drink and “hors” like the others on the mountain are doing. And he is advised to be quiet about the amount of money he has by his friend thereby giving us a very accurate picture of life on the mountain and the lawlessness of the area during those times. These are wonderful characters that populate this story. Lao Jian is as alive as Todd Webster, although we only see him from Todd’s perspective. Lao Jian’s quiet yet proud manner is a strong complement to Todd Webster’s somewhat impulsive prickly youthful attitude. It is easy to see what attracts them to each other, an attraction that grows into love along their journey. Everything about the characters seems “right”. Their speech, clothes and actions are grounded in history yet all come across as totally believable in every way. Lao Jian and the other celestials we meet have been brought to America to work on the railroad and end up in camps on the outskirts of town when their labor is no longer necessary. The same arguments heard today over illegal aliens taking away jobs from those who “rightfully belong here” have their foundations, in part, laid out during this time period. Discrimination against the Chinese makes its impact felt as Lao Jian is barred from certain establishments and expected to ride outside of the stagecoach and we are as angry as Todd Webster over these actions. Anti-Chinese sentiment was far spread in that region, the author skillfully brings to life the racial intolerance of the period but shows us the whole measure of the human response from outright hostility to indifference to those to filled buckets and formed lines to help put out the fires in Chinatown. Barry Brennessel handles his characters sexuality with the same deft touch he displays throughout the book. Todd Webster is aware that he doesn’t look or yearn for women the same as others do and at nineteen he is a virgin as much emotionally as he is physically. Away from home, he starts to look at certain men differently without acting upon it. That is until he meets Lao Jian. Lao Jian is only slightly more experienced than Todd Webster and their first sexual advances towards each other is tentative and earnest. Don’t expect any hot sexual scenes here. What does happen between the two is more of the kisses, fumbling nature and the rest is “offstage” and private which is in keeping with the nature of these two. Also in keeping with historical accuracy, the forbidden nature of their “sexual congress” is mentioned as is Todd Webster’s initial confusion over his sexuality. But he comes to grip with it as Todd does everything else in his life and the way in which the relationship is handled makes sense in every way. I loved the ending of the book which culminates in letters written between Todd Webster and his mother, and then his correspondence with his great grandson. Through the letters, we learn of the changing times and the life Todd Webster Morgan and Lao Jian managed to achieve together. I will admit to reading those last chapters several times, mostly with tears in my eyes and joy in my heart. If I have a quibble with this book, it is that it passes all too quickly in 180 pages. Barry Brennessel packs a lot of life as well as history into this superlative story. Do not pass this book by. If you are not a fan of historical writing, this might make you one. If you are one already, this book will climb to the top of the pile. 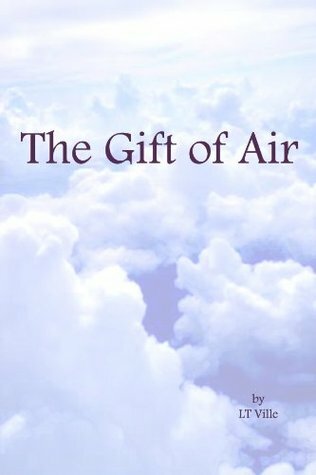 This book was a Finalist, 2012 Pacific Northwest Writers’ Association Literary Contest. It deserves that recognition and so much more. Cover: This cover by Winterheart Designs will be one of the best of the year. Just outstanding from the design to the sepia tones. Loved it. This entry was posted in Book Reviews, Books, eBooks, Historical, M/M Fiction, Uncategorized and tagged 2012 Pacific Northwest Writers' Association Literary Contest. Barry Brennessel, Finalist, m/m fiction, m/m historical fiction, m/m interracial love, m/m virgin hero, m/m young love, MLR Press, young love. Jacen Ives has loved Kayne Henderson since he was 11 and Kayne was 14. Kayne was kind to him and stopped Jacen from being bullied. Confused about his feelings, Jacen talks to his older brother, Micah, and dad about being gay and is met with acceptance and love. But both caution him about being out at school and Micah makes him promise to never reveal his feelings to Kayne. Jacen keeps that promise until the night of their graduation party. It seems that Kayne has known all along about Jacen’s “crush” and he sends Jacen away to college with a kiss goodbye after telling Jacen that he is straight and has a serious girlfriend. Six years later, Jacen returns to his hometown after being savagely beaten by an ex-boyfriend he met in college. His family gathers to support him. And to his surprise, so does Kayne Henderson. Kayne is now divorced and has a young daughter. Homeless,they both live with Micah and his partner, Sammy. When Jacen’s ex eludes the Melbourne police, everyone fears he will show up to threaten Jacen again so Kayne and his daughter move in with Jacen to protect him. But Kayne is hiding a secret, one he has carried since graduation. When the secret comes out, it will shatter friendships and leave Jacen vulnerable. Can both men accept change when it leads to a future both want with all their hearts? 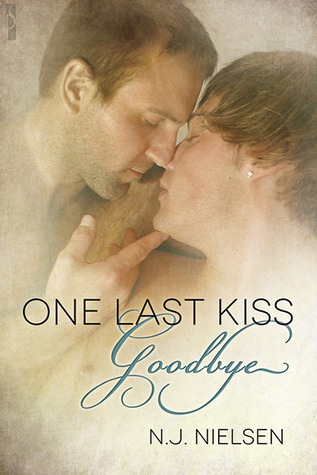 One Last Kiss Goodbye was a lovely story of unrequited love fulfilled at last with an Australian touch. Nielson has done such a great job with her characterizations that each and every one comes off as a realistic portrayal of young men conflicted about their sexuality, driven to act under stress and duress that will seem so authentic, so real to the reader that they capture our sympathy and hearts immediately. Jacen Ives is sweet and loving portrait of a sweet, smart young man who separates himself from his family and support system because he just can’t stand to remain and watch Kayne and his girlfriend. You have to remember these are the actions of a 15 year old who has jumped ahead in school to graduate with older kids but still has the emotional maturity of his actual age. In fact, as the story ends, Jacen is only 21. Nielson understands Jacen’s emotional age and stays true to that level of maturity throughout the book. In moving away from family and friends, Jacen takes away his security and emotional backing as well. It is easy to imagine a 15 year old on his own for the first time, homesick and grieving over the loss of Kayne being vulnerable to someone who will abuse him in a relationship. Each of Jacen’s actions are completely comprehensible, including his quickness to tear up given his bruised emotional and physical state of being. Kayne is another character who jumps to life complete with his many frailties front and center. 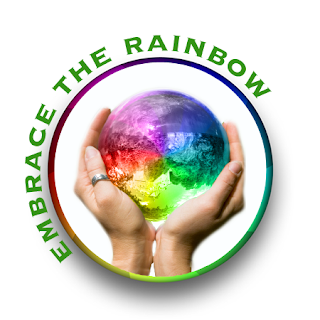 With Kayne, Nielson gives us insight into a man who was a 14-year old confused about his sexuality and afraid of his emotions, so much so that he acts “straight” to all around him with grievous consequences. Here again the reader must keep in mind that Kayne is only 3 years older than Jacen, and his actions reflect that as well. These are two sweet and compelling young men struggling with the repercussions of past actions in their present day reality as well as the feelings they still have for each other. You will root for them with all your heart. The things that did bother me about the story might have more to do with the difference laws in the United States and Australia. There are certain events that take place that if they had occurred here in the States, they would have tagged as a hate crime and the participants jailed. Also what is described as vandalism here would be classified as an attack, a destruction of property, as well as a hate crime, more serious offenses. So I think my confusion here is due to the author being Australian with differing laws and not the fact that the events are considered less serious. I am not sure if Australia has a hate crime law in effect there. The other quibble has to do with Kayne’s daughter’s name. Jacen is extremely smart so how does he not get the significance of her name? Also the ending seemed a bit rushed. The book is only 125 pages so the length did not seem to match the bigger story contained within. I enjoyed my time spent with Jacen and Kayne. I think you will too. Cover: I loved this cover. Art by Reese Dante and photography by D.W.S. Photography, it is sheer perfection. The ages are spot on, the models sweet faced and sensual. 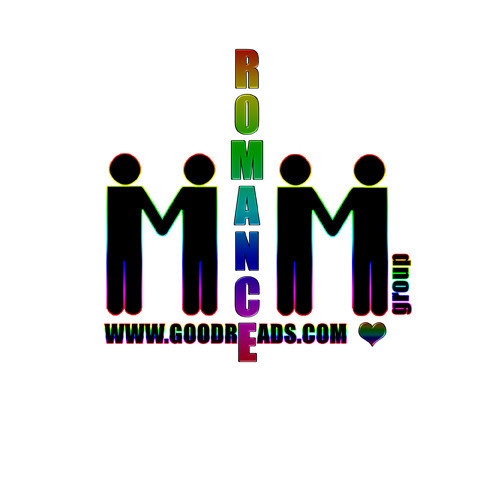 This entry was posted in Book Reviews, Books, Contemporary fiction, eBooks, M/M Fiction, Uncategorized and tagged contemporary romance, m/m family, N. J. Nielson, novella, unrequited love, young love.